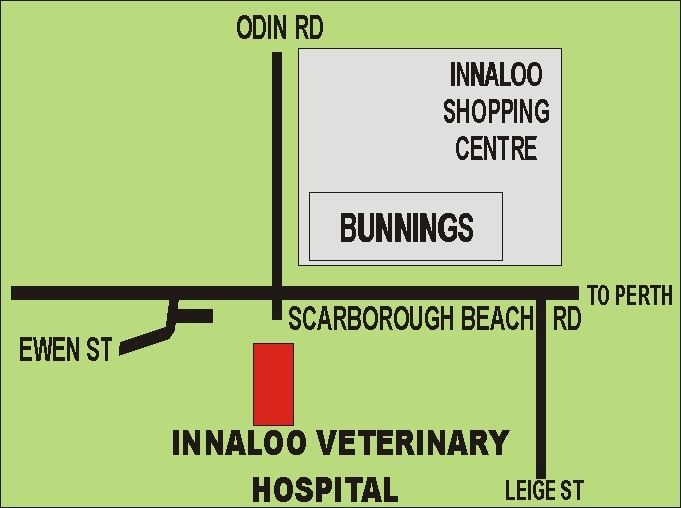 Practice is located on east end of Manning Rd, near Waldecks. If approaching from Canninton do not do a U-turn at the Wyong Rd lights as this is illegal. Instead do a U turn after turning into Wyong Rd. If approacing from St James/Vic Park easiest access is via Berwick St which ends up to become Wyong Rd. not Bentley. 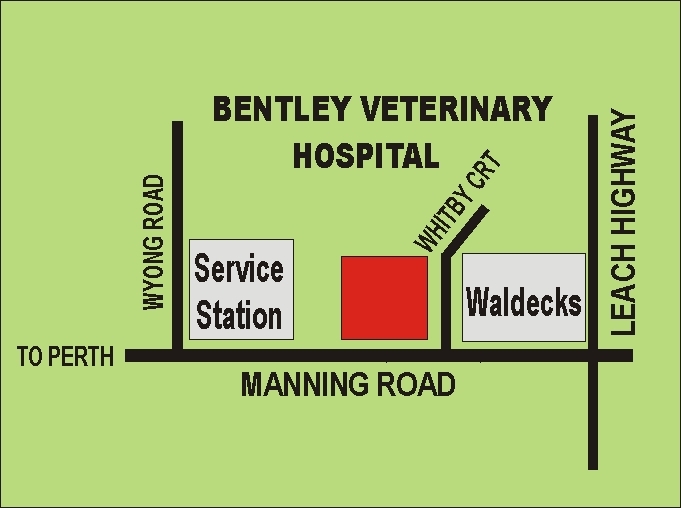 Select 1 Whitby Crt as your destination to avoid confusion. Advice and views expressed are given without prejudice. No liability will be accepted for following advice given. 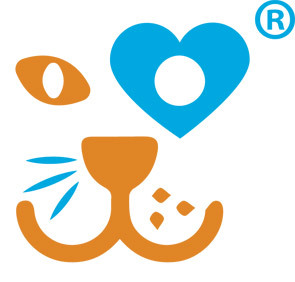 At all times we advise consulting your vet for pet health matters.